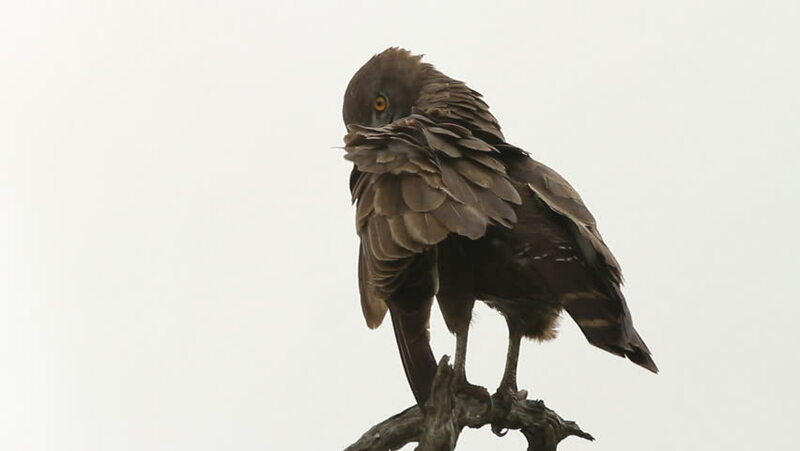 Close up of a Brown Snake Eagle (Circaetus cinereus) on a dead branch, and then it flies off. 4k00:25Eurasian raptor Common Buzzard (Buteo buteo) perched on a single tree. 4k00:21Eagle and cow calf carcass. Animnal behaviour. Bird feeding behaviour in rocky mountain. Hunter with catch. Golden eagle in grey stone habitat. Fox carcass. Golden Eagle, Bulgaria, feeding.